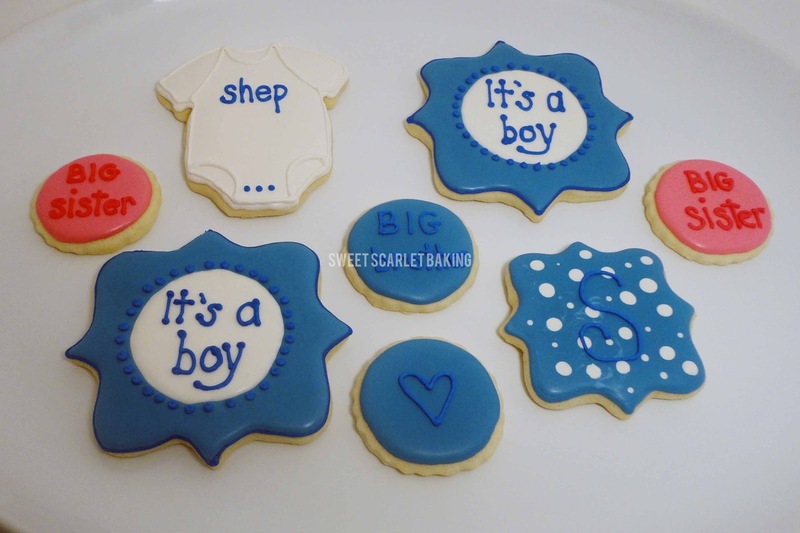 Sweet Scarlet Baking: Everyone Loves a Baby! Babies, babies! 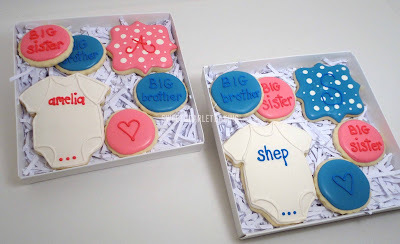 So many precious babies! These little loves each have three older siblings to care for them. 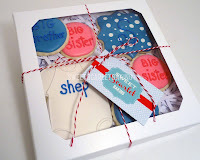 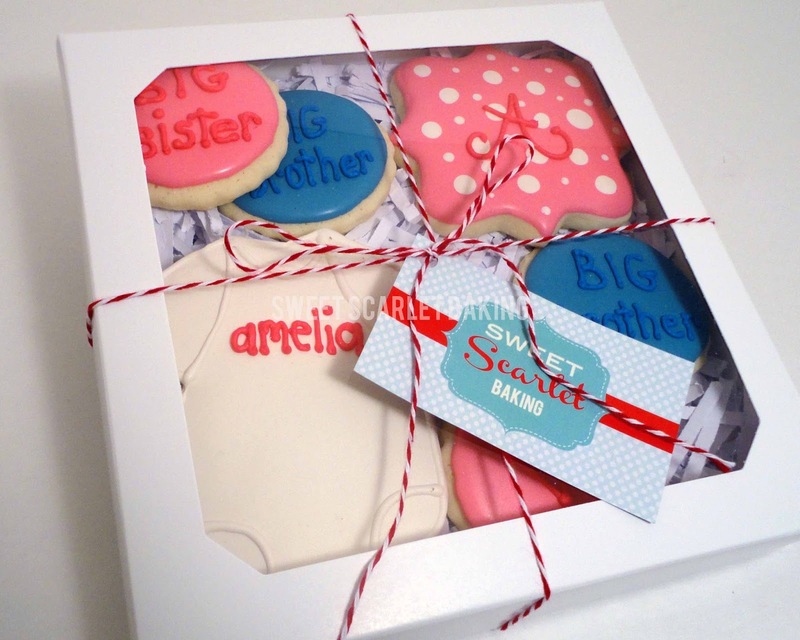 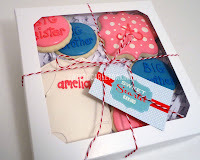 Newborn decorated sugar cookies are the perfect gift to make older siblings feel special, too. for the family to enjoy by adding in some gender reveal cookies. 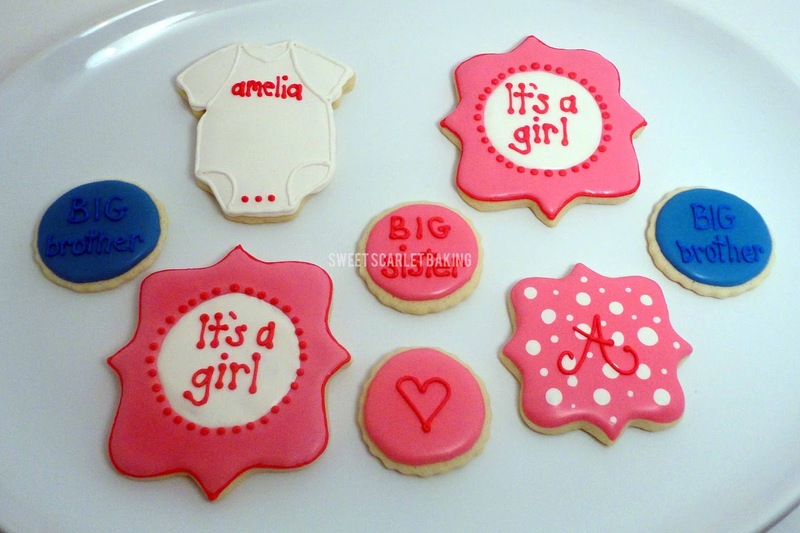 Welcome precious Amelia and Shepard!